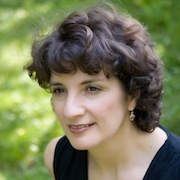 Carla Panciera has published fiction, poetry and memoir in several journals including The Chattahoochee Review, The New England Review, Painted Bride and Nimrod. Her first book of poetry, One of the Cimalores received the 2004 Cider Press Book Award. Her second volume of poetry, No Day, No Dusk, No Love, was awarded the 2010 Bordighera Poetry Prize. She lives in Rowley, MA. Her short story "All of A Sudden" appears in the July 2011 issue of The Drum.